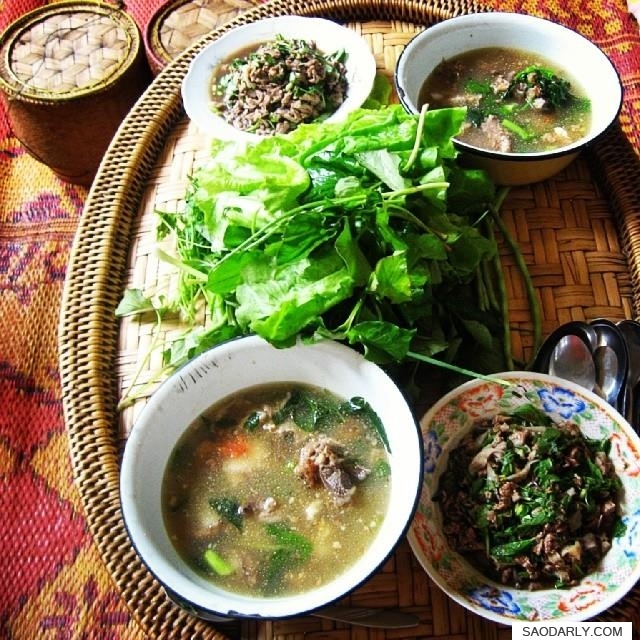 Larb Sien (Larb Beef) for lunch in Vientiane, Laos. One of my aunts like to eat beef a few times a month. She usually makes Orlam (stew), Sien Lod (beef jerky), ping sien (grilled beef) out of the freshly bought meat. 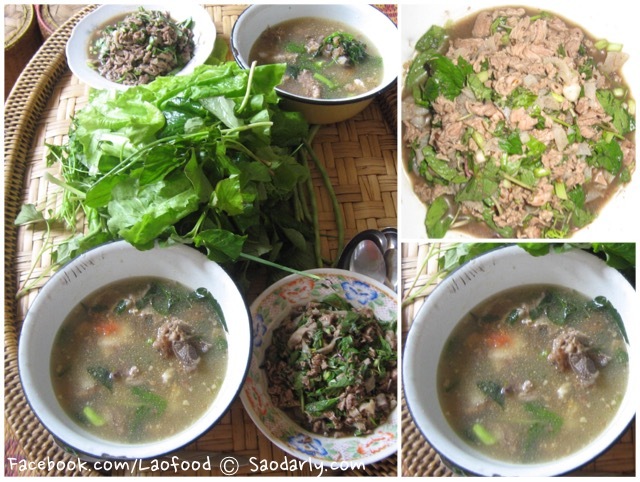 When there is more time for cooking, my aunt then makes Larb Sien with Kaeng Sien (beef soup) for lunch or dinner. Her time spent in the kitchen is always appreciated by the rest of the family members.